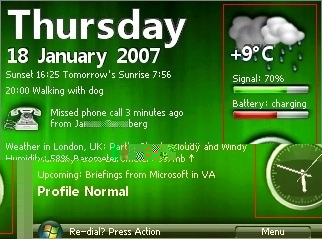 JGUI has developed a new theme for your Windows Mobile phone that provides the Vista look and feel on your homescreen. But it appears to be much more than just a skin, it includes animation on the screen and comes with Settings Dialogs so you’re not having to hack the registry or XML offline to effect changes. The UI contains a sidebar with gadgets (see the pic below) that can remain on the screen if you want or can disappear to free up screen real estate as you maneuver the D-Pad to other applets. 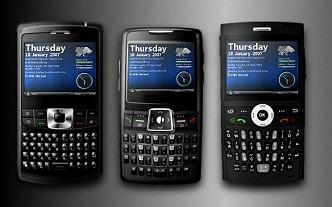 Some of the gadgets are animated like the analog clock or the local weather forecast. To further adopt the Vista look, it’s using the full OS’ “pearl” as your start button as well.